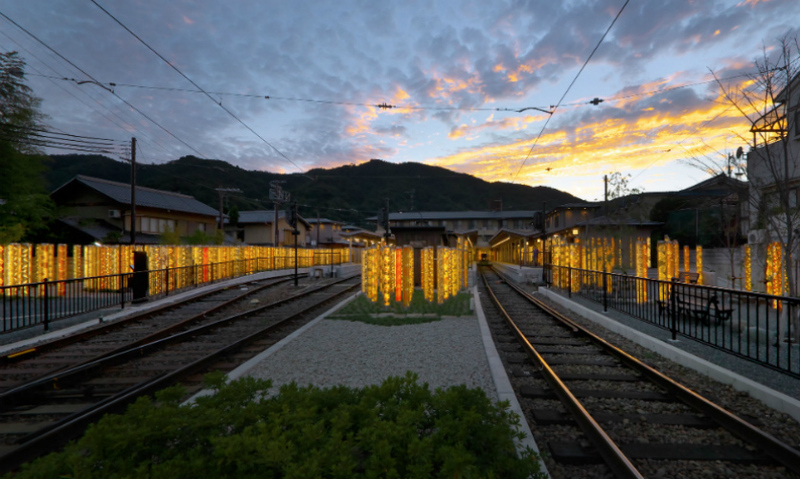 GLAMOROUS Co. Ltd. helped renovate Randen Arashiyama Station about 10 years ago using sustainable materials and lighting. 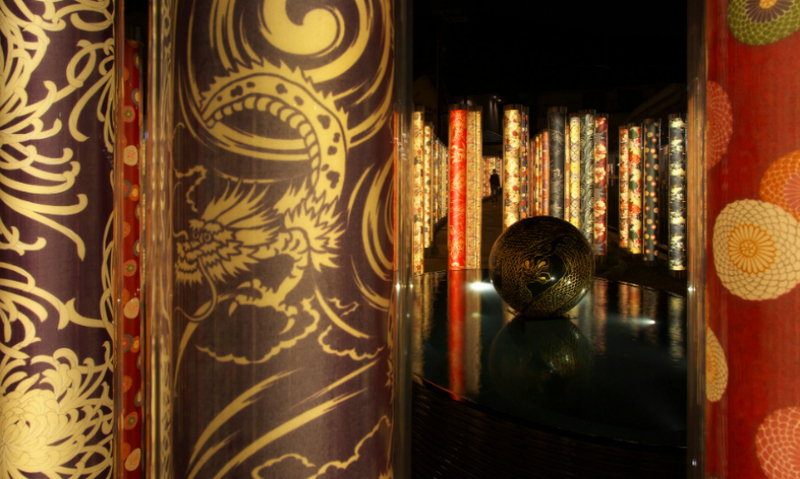 It has become a popular destination station and has helped bolster the local economy. 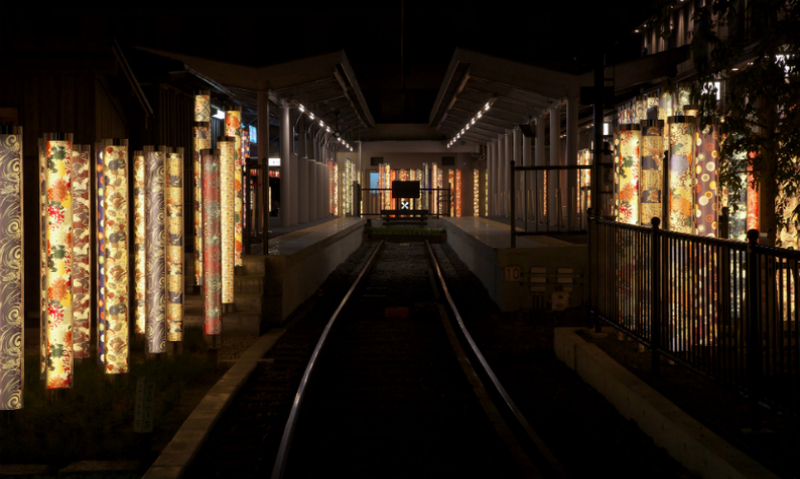 After the success of the station renovation, GLAMOROUS was asked to redesign the platform area to engage travelers even more. 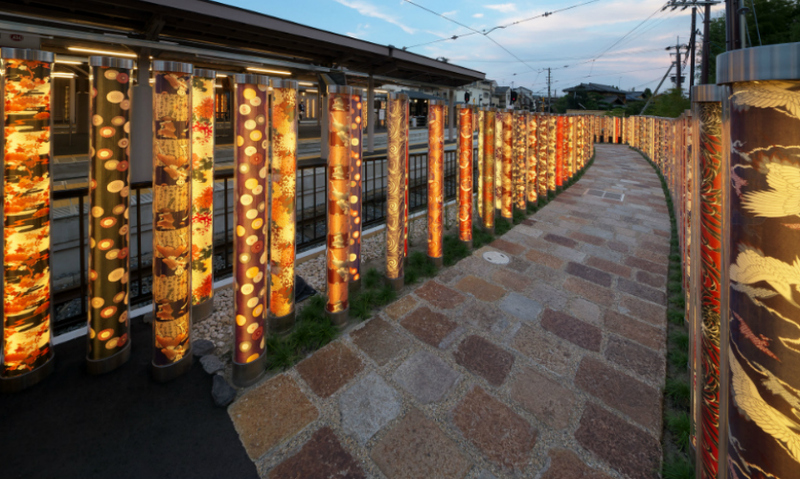 Inspired by Kyoto’s unique brand of kimono cloth artistry as well as the idea of a bamboo forest, the GLAMOROUS team devised a way to use the beautiful fabric as a placemaking element. 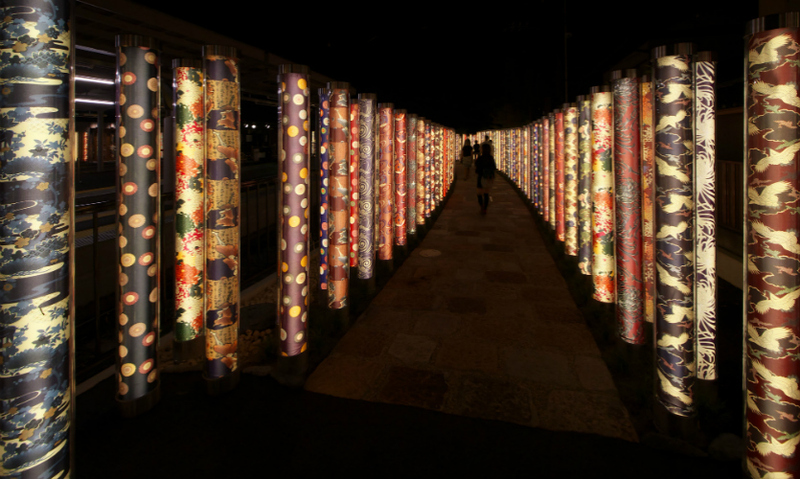 The concept is that of a “forest” of lanterns softly illuminating the platform and walkway leading to it. 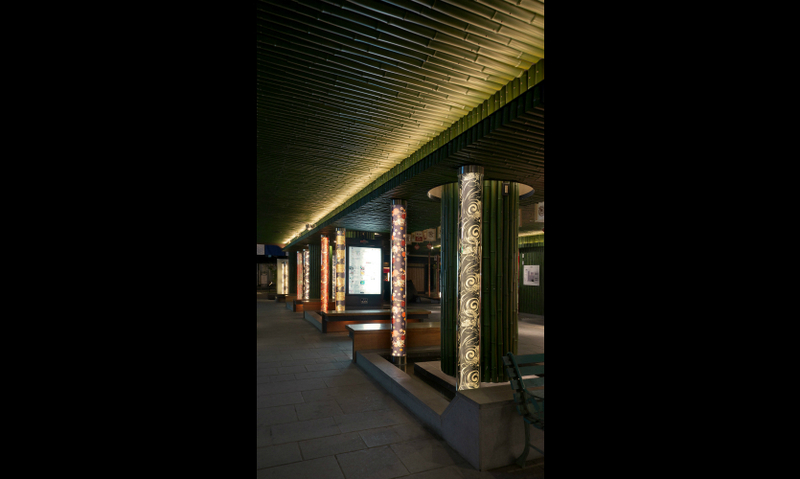 Instead of using bamboo, the team wrapped a collection of light poles with hand-dyed Yusen kimono cloth, creating a soft and colorful warm light. 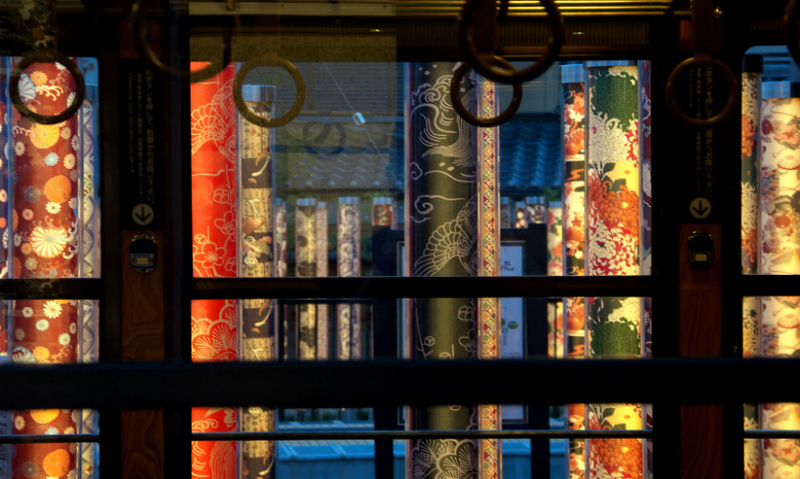 The Yuzen cloth was covered with an acrylic finish to protect it from weather conditions. The team chose 16 patterns from hundreds. 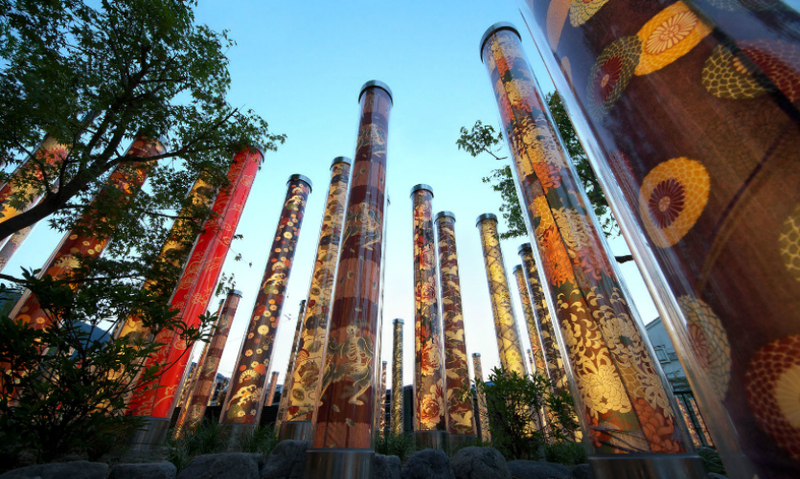 The result is a welcoming and memorable placemaking element for the everyday commuters who walk the pathway.